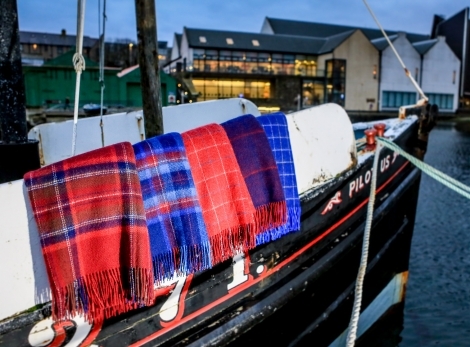 The Real Shetland Company are proud to offer you our latest product range, The Heritage Collection. These throws are made using the luxurious worsted Heritage yarn range by Jamieson and Smith. Designed by some of the UK's top designers, made in Yorkshire using only Real Shetland Wool, the throw range is a classic blending of Yorkshire and Shetland textile traditions. Available now, through our retail site Adam Curtis Online. Made in the UK using soft worsted spun yarn.